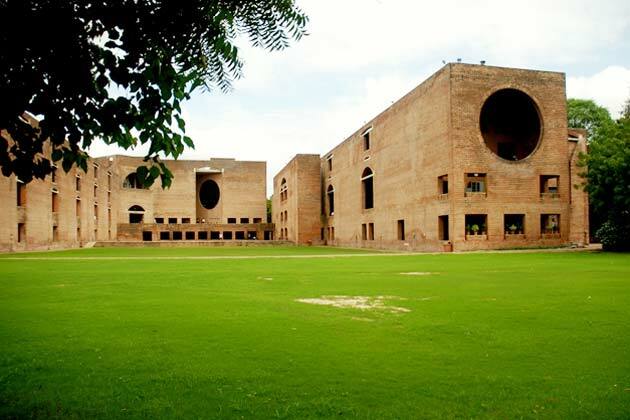 IIM Ahmedabad Summer Placements for the Class of 2020 have been completed! 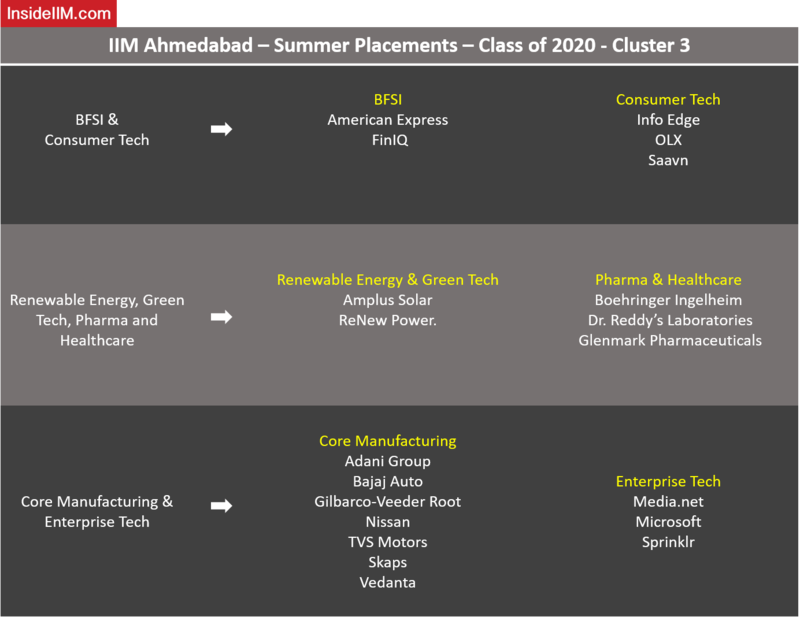 The IIM Ahmedabad Summer Placements process took place in 3 clusters, and recruiters were segmented into various cohorts based on the profile offered. – The Boston Consulting Group was the top recruiter for Summer Placements, with a total of 20 offers. – In the BFSI cohort, American Express and FinIQ were the top recruiters with 8 offers. – In the Consumer Goods cohort, AB InBev, HUL and Saint Gobain recruited 7 students each and were the highest recruiters. 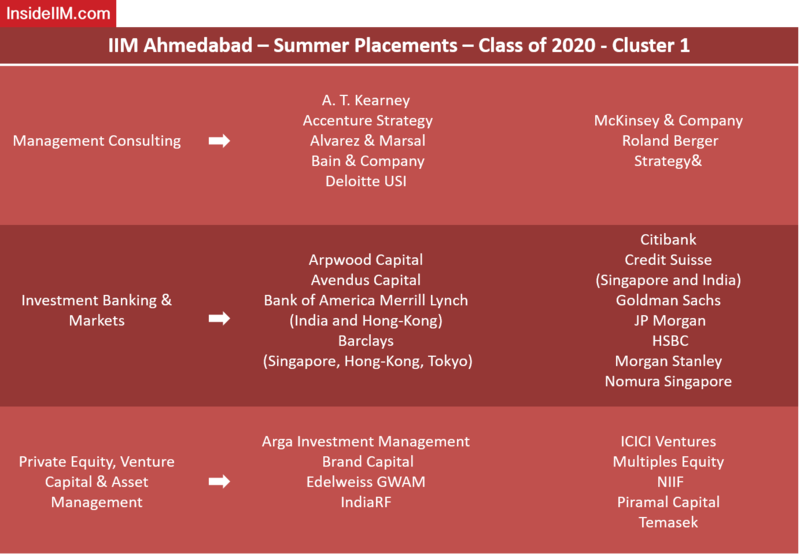 – In the General Management cohort, the Aditya Birla Group was the top recruiter with 10 offers. – In the retail B2B space, Amazon was the highest recruiter, having made 14 offers, while Microsoft was the leading recruiter in the Consumer Tech cohort with 10 offers. Cluster 1 saw a large pool of recruiters, with about 50 firms participating in the process. BCG was the top recruiter in this Cluster with 20 offers. HSBC was the highest recruiter in Investment Banking and Markets cohort with 9 offers. Edelweiss GWAM was the highest recruiter in the PE/VC and Asset Management cohort with 5 offers. The firms that participated in Cluster 2 comprised of six cohorts – Advertising & Media, Consumer Electronics, Consumer Goods, Consumer Services, General Management and Leadership and Retail B2B & B2C. Cluster 2 saw a large pool of recruiters with 53 firms participating in the process. Amazon was the top recruiter in Cluster 2 with 14 offers. 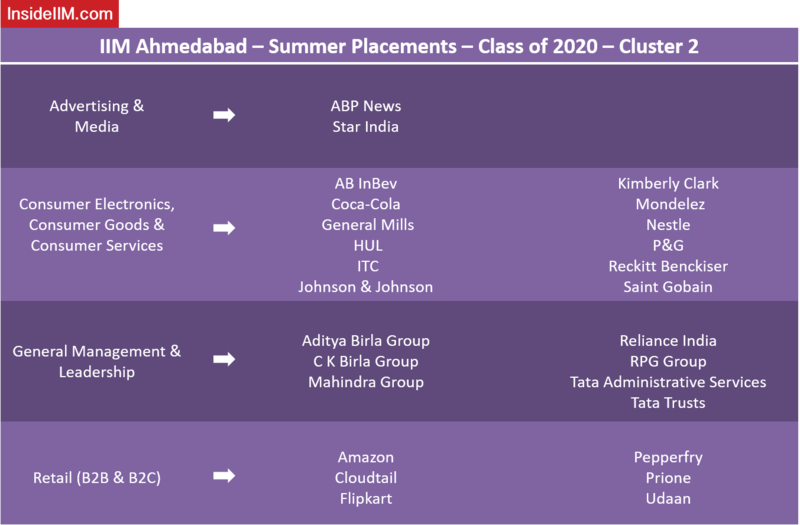 In the Advertising & Media cohort, the top recruiters were ABP News and Star India with 3 offers each. Samsung Electronics was the highest recruiter in the Consumer Electronics cohort with 5 offers. Top recruiters in the Consumer Goods space included AB InBev, HUL and Saint Gobain with 7 offers each. Airtel was the top recruiter in the Consumer Services cohort with 8 offers. The top recruiter in the General Management & Leadership space was Aditya Birla Group with 9 offers. The firms that participated in Cluster 3 comprised of eight cohorts – BFSI, Consumer Technology, Core Manufacturing, Enterprise Tech, Food & Dairy, IT Consulting, Pharma & Healthcare, Renewable Energy & Green Tech. Over 40 firms participated in Cluster 3. Microsoft was the top recruiter with 10 offers. In the BFSI cohort, key recruiters were American Express and FinIQ with 8 offers each. InsideIIM is conducting an exclusive workshop on ‘How To Get Into A B-School In 2019’. Interested candidates can register for the FREE workshop here.